Text editors are increasingly popular these days, whether embedded in a website comment form, or as a notepad, there are many forms of text editors. 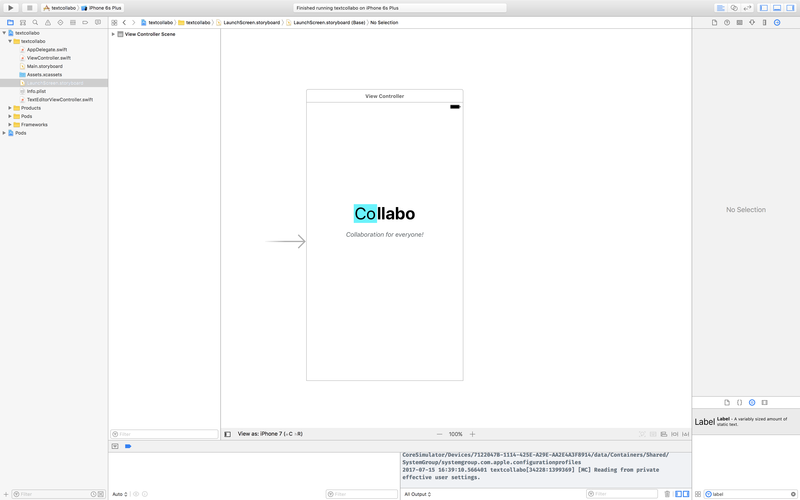 In this post, we are not only going to learn how to build a beautiful text editor mobile app in iOS, we are also going to learn how to make it possible to collaborate on a note in realtime using Pusher. Please note, however, that to keep the application simple, the article will not cover concurrent edits, thus only one person can edit at the same time while others watch. We are going to create some views for our iOS application and these will be the backbone where we will hook all the logic into. 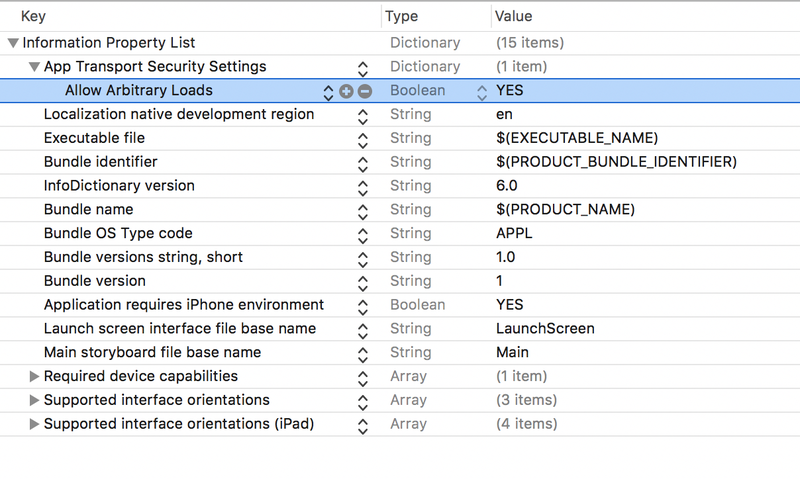 Using the Xcode story board, make your views look a little like the screenshots below. This is the LaunchScreen.storyboard file. We have just designed something simple with no functionality at all. The next storyboard we will design is the Main.storyboard and, as the name implies, this is the main storyboard. This is where we have all the important views that are attached to some logic. Here we have 3 views. The first view is designed to look exactly like the launch screen, with the exception of a button that we have linked to open up the second view. The second view is the Navigation controller, this is attached to a third view which is a ViewController. 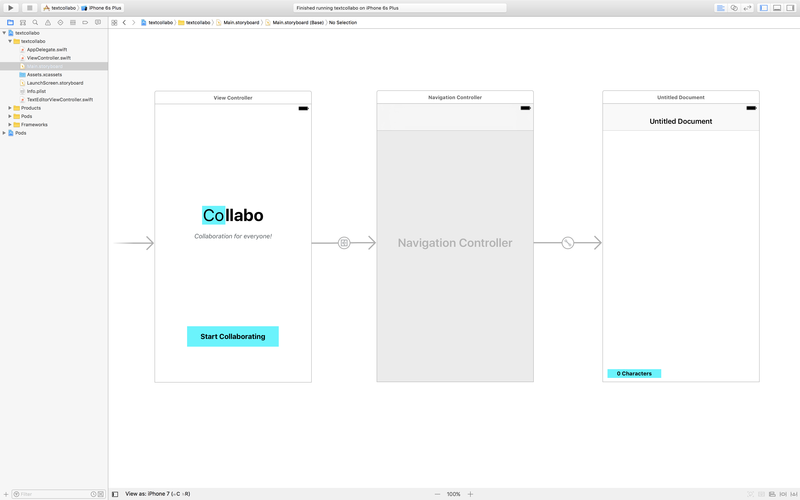 We have set the third view as the root controller to our Navigation Controller. In the third view, we have a UITextView that is editable, placed in the view, and also a label that is supposed to be a character counter. This is the place where we will increment the characters as the user is typing text into the text view. Now that we have successfully created the views required for the application to load, the next thing we will do is start coding the logic for the application. Create a new cocoa class file and name it TextEditorViewController and link it to the third view in the Main.storyboard file. 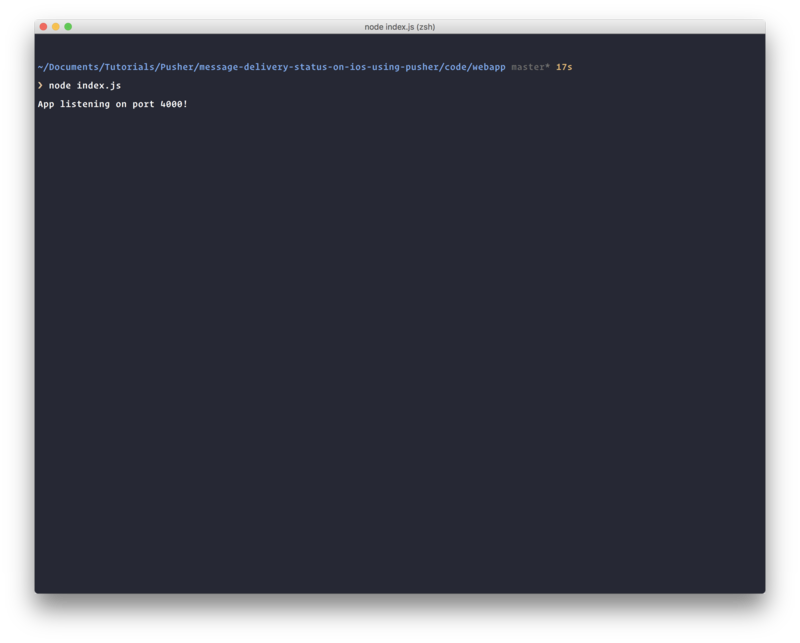 The TextViewController should also adopt the UITextViewDelegate. Now, you can ctrl+drag the UITextView and also ctrl+drag the UILabel in the Main.storyboard file to the TextEditorViewController class. @IBOutlet weak var charactersLabel: UILabel! Now we need to add some properties that we will be needing sometime later in the controller. var placeHolderText = "Start typing..."
var randomUuid : String = ""
In the viewDidLoad method, we registered the keyboard functions so they respond to keyboard events, and we added gesture recognizers that will dismiss the keyboard when you tap outside the UITextView. We also set the textView delegate to the controller itself and finally, we called a function to listen for new updates (we will create this later). In the viewWillAppear method, we simply hacked the UITextView into having a placeholder text, because, by default, the UITextView does not have that feature. Wonder why, Apple. In the keyboardWillShow and keyboardWillHide functions, we made the character count label rise up with the keyboard and descend with it respectively. This will prevent the Keyboard from covering the label when it is active. The textViewDidChange method simply updates the character count label and also sends the changes to Pusher using our backend API (which we will create later in the article). The textViewShouldBeginEditing is gotten from the UITextViewDelegate and it is triggered when the text view is about to be edited. In here, we basically play around with the placeholder, same as the textViewDidEndEditing method. Finally, in the tappedAwayFunction we define the event callback for the gesture we registered in the previous section. In the method, we basically dismiss the keyboard. In the sendToPusher method, we send the payload to our backend application using AlamoFire, which will, in turn, send it to Pusher. In the listenForChanges method, we then listen for changes to the text and, if there are any, we apply the changes to the text view. 💡 Remember to replace the key and cluster with the actual value you have gotten from your Pusher dashboard. Great! Now we need to make the backend of the application. Now that we are done with the Swift part, we can focus on creating the NodeJS backend for the application. We are going to be using Express so that we can quickly get something running. In the JS file above, we are using Express to create a simple application and in the /update_text route, we simply receive the payload and pass it on to Pusher. Nothing complicated there. The package.json file is where we define all the NPM dependencies. Now run npm install on the directory and then node index.js once the npm installation is complete. You should see App listening on port 4000! message. In this article, we have covered how to build a realtime collaborative text editor on iOS using Pusher. Hopefully, you have learnt a thing or two from following the tutorials. For practice, you can expand the statuses to support more instances.